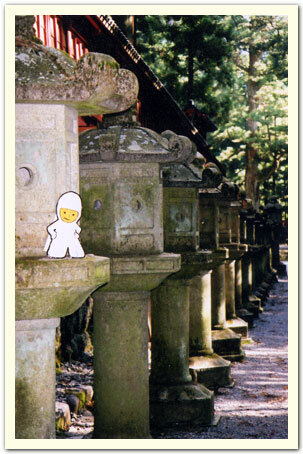 Bumperboy enjoys a quiet moment at a temple in Nikko, Japan. November 2003. Photo by Pam H.